I'm finally back! This past year has been crazy hectic with trying to balance my final year of college along with work and trying to have somewhat of a social life so my blog has taken a back seat for a long long time.. I've been looking at so many sales and gifts online lately so I thought what a good way to make a return to blogging, a Christmas gift guide! 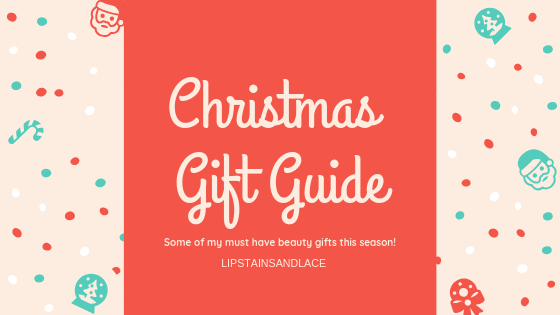 Beauty/makeup related items are always a winner in my books and this gift guide will cover beauty, obviously. I'm going to try my best to do another few posts on different gifts for all the family/friends too. Enjoy! Just launched, this is top of my wish list this year! I love the SoSu lashes already and almost died when I saw the announcement for this on Instagram. 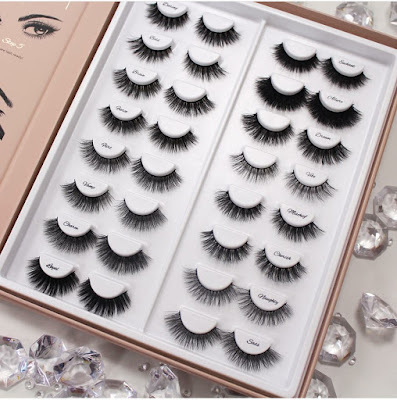 The Lash Bible contains 16 pairs of luxury faux mink eyelashes and from simple to dramatic, there's a different lash for every occasion over the holiday season! This set retails for €50.00 and is definitely one of my must haves! Lets hope Santa is good to me this year! Purchase it from SoSu by Suzanne Jackson here. Another SoSu by Suzanne Jackson is the Weekend Vibes Lash Set. 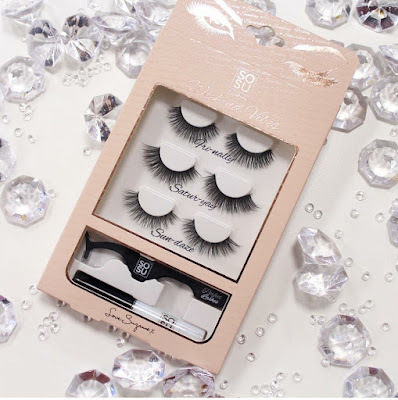 This set is so handy for anyone who wears lashes because it will sort out their lash game for Christmas. 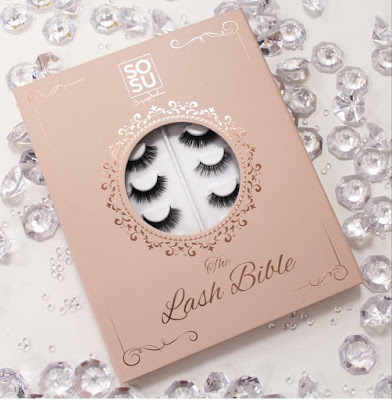 The set contains 3 sets of lashes and come with SoSu glue and a lash applicator. Retailing for €20.00 this could even be a nice gift for someone for secret santa. 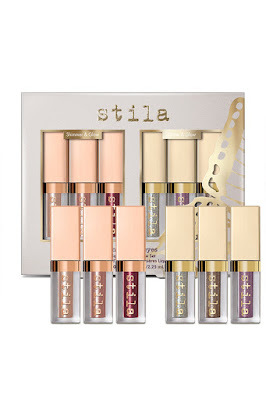 The Stila Liquid Eyeshadows are one of my favourite eye products ever and they're just so perfect for the festive season too. You don't have to be a makeup pro to use these which is something I love about them, they're honestly just so easy to apply. They come in a wide variety of colours and just add that extra sparkle and pop to any makeup look. If I'm in a rush somewhere but still want to look glam and make it look like I've put so much work and effort into my eye makeup I just put one eyeshadow on underneath and top it with these and it just transforms the look! When purchasing these individually they're very pricey and retail for roughly €27 - €29 each for 4.5ml but the Christmas gift sets are a steal! This set is €54.95 for 6 minis (2.25ml each). Or if you're trying to stick to a budget you can also buy sets of 3 from Beauty Bay for €32. 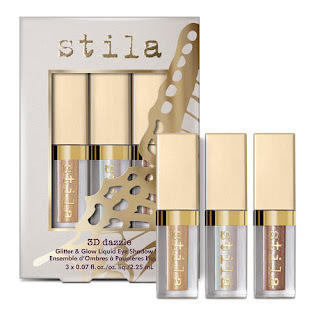 Purchase 3D Dazzle set from Beauty Bay here. 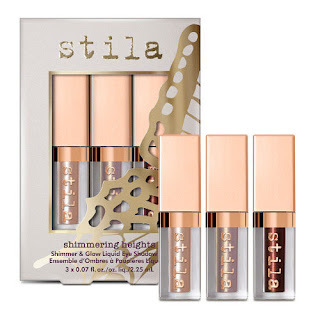 Purchase Shimmering Heights Set from Beauty Bay here. The Benefit Superstar Collection is currently on offer as a Star Gift on Boots retailing for €39.00. Voucher for 500 Boots advantage card points & free makeupper. Purchase from Boots here *limited time offer. Or if this set isn't your cup of tea, Boots have so much more to choose from! Shop them here. 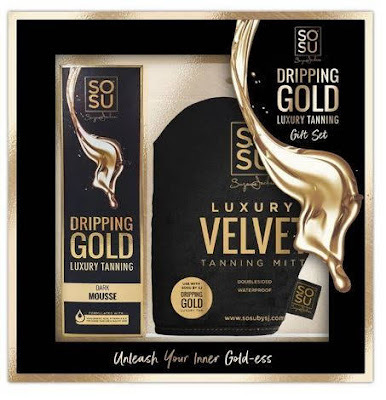 For the tan obsessed person in your life (or yourself for those Christmas parties and nights out) this tanning gift set by SoSu by SJ is perfect! The set is packaged so pretty and contains: Dripping in Gold Mousse and a Luxury Velvet Tanning Mitt for €25.00. The tan comes in a shade range of Medium, Dark and Ultra Dark. Purchase from SoSu by SJ here. Skincare is an absolute must when it comes to any makeup routine, it's so important to look after your skin and I love the No7 skincare gift sets (a repeat gift from my mam and dad almost every year). 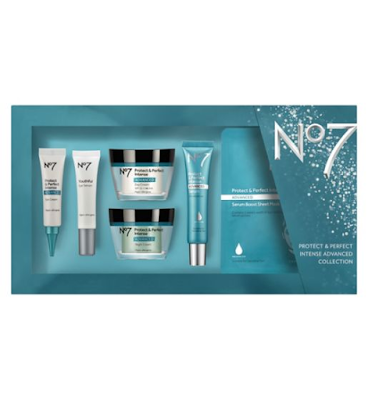 The set I always get is from the No7 Protect & Perfect Intense Advanced range. The set is such good value, the tubs of day/night creams are huge and a little goes a long way! It takes me almost the full year to actually finish the tubs off. This set is currently €72.00 on Boots but the RRP of all the products inside is worth a whopping €163.75, and who doesn't love a good saving.. right? If you fancy something different for your skin they also do the collection in: Lift & Luminate and Restore & Renew which also retail on Boots for €72.00. Browse the No7 Christmas Collection here. This is a product on my own wish list this year. I hadn't tried this until my hairdresser used it on me a couple of weeks ago. I have extremely thick/long hair which gets really knotty after I wash it (or in general let's be real here) and I couldn't believe how easy the hairbrush went through my hair after a few sprays of this! The treatment has 12 benefits in total: UVA & UVB Protection, Sulphate & Paraben Free (which is very rare nowadays with hair products), Helps repair dry and damaged hair, Nourishes and protects for radiant shine, Delivers soft, silky, more manageable results, Contains colour protection complex, Acts as an incredible detangler, Aids in the prevention of static, Conditions both natural & synthetic hair, Smooths split ends and controls frizz, Non sticky application, Contains vitamins, amino acids and antioxidants that can help promote healthy hair. My hair felt so silky smooth after my hairdresser used this on me I was honestly shocked, and it smells so nice! I'm always giving out that hair products smell so good at the time of using them but you can never smell them once your hair is dry but this treatment genuinely left my hair feeling so amazing and smelling so good! You can buy a 200ml bottle for €16.00 or the 100ml bottle for €10.00. 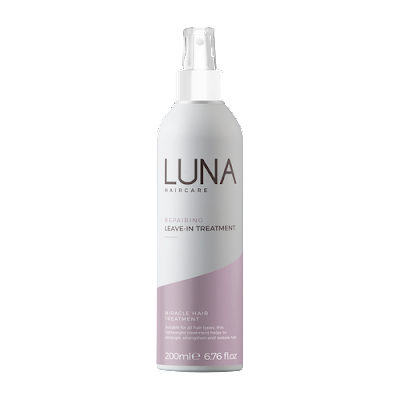 The 200ml is currently sold out on Luna by Lisa's site but you can still purchase this in tonnes of chemists across the country. Purchase on Luna by Lisa here. Well unfortunately that's it for this post but I hope to be back very soon with some more gift guides!